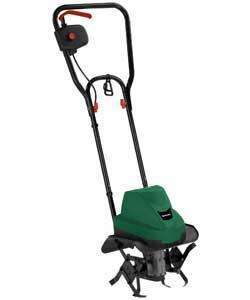 Qualcast 750 watt Garden Rotavator,Was £249.99,Then On Sale £84.99 ,But Now Reduced to Only £64.99 this weekend Instore Only with discount code DEC20 at Homebase. Be Quick Limited store stock ! Plus 20% of ALL Gardening ! This would never have been anywhere near £249.99, it is just the same as the one badged by a different name that I got from the local garden centre 2 years ago. People will moan that it will break when used, I haven't had any problems with mine yet but don't expect it to break up dry and compacted soil. It is fine for my veg garden even though it is sometimes better to give the soil a bit of a break up with a fork first. No way was it ever anywhere near £250! Could I ask please where you saw the 20% discount offer? It's actually a fiver cheaper with their sister company Argos, before any … It's actually a fiver cheaper with their sister company Argos, before any discount code of coursehttp://www.argos.co.uk/static/Search/searchTerms/7304400.htmNo way was it ever anywhere near £250! Been Sold Out at Agros for a while due to been on sale.